ONLY $35, but class size is limited. 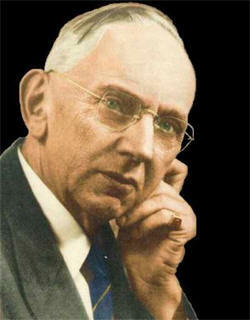 Edgar Cayce is probably the most well-known and documented psychic of our time (1877-1945) with 14,305 recorded readings in the foundation’s library. He has been called the “Sleeping Prophet” because all the material he channeled was given while he was unconscious (asleep). He had only an 8th grade education but a love for humankind that drove everything he did. He has been called the “Father of Holistic Medicine,” well-known for his “health readings” in which he could diagnose illnesses from miles away, identify the cause and prescribe cures which were often outside of the current, traditional medical models. Ironically, failing to follow his own advice resulted in his death. The energy required for the readings so depleted his own life force that could not survive it … nor could he turn anyone away who needed help. He never once was asked a question he could not answer while asleep. Seventy years after his death, new discoveries, technology and neuroscience have proven the information coming through him to be correct time after time. NOTE: Bring note taking material. No manuals, certificates or CEUs are provided. ANNE KING, C.H. has been a lifetime member of the ARE (Assoc. of Research & Enlightenment, the Edgar Cayce Foundation) since 1993 and has studied and applied information from the Edgar Cayce material for almost 30 years. It is her desire to share some of the wisdom and guidance she has gleaned from the vast amount material available which is available concerning his readings.